… and so far Labor is whooping the Liberals which is good news! 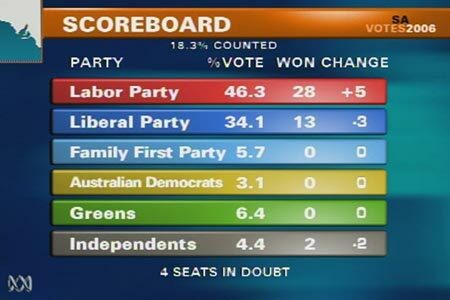 Plus the Greens are up by over 4% from their previous position, very impressive! Let's see if they can beat Family First :D.